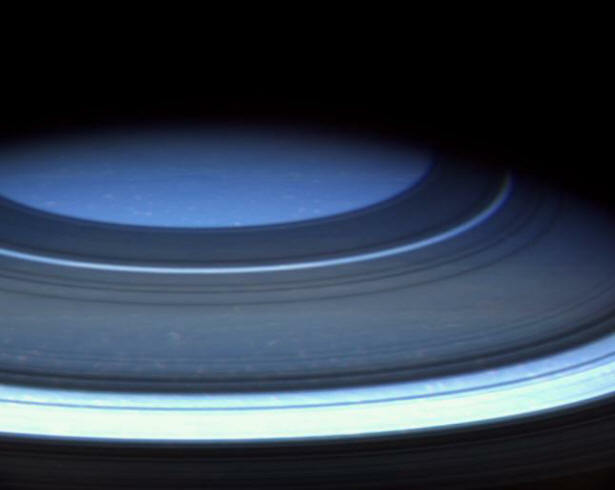 Saturn’s north pole with ring shadows. Credit: NASA/JPL/Space Science Institute. Once again Electric Universe theorists predicted "mysterious" heat signatures from Saturn’s poles. "We had speculated that the south pole hot spot was connected to the southern, sunlit conditions. Since the north pole has been deprived of sunlight since the arrival of winter in 1995, we didn't expect to find a similar feature there." “The hot spots are the result of air moving polewards, being compressed and heated up as it descends over the poles into the depths of Saturn. 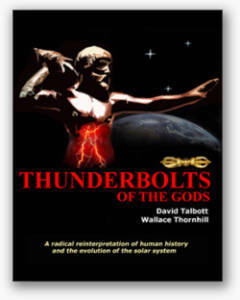 The driving forces behind the motion, and indeed the global motion of Saturn's atmosphere, still need to be understood." Previous Thunderbolts Picture of the Day articles demonstrated that Saturn’s south pole is hotter than can be explained by the relatively dim sunlight that it receives. 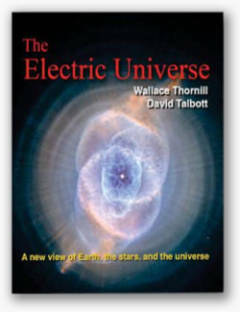 Because the mechanical view of the anomalies in the south fails to explain the increased temperature there, Electric Universe proponents suggest that another source for the energy input must be considered and that is electricity. One of the most bizarre configurations discovered on Saturn is the hexagon that dominates its north pole. The formation was originally seen by cameras onboard the twin Voyager spacecraft that flew by Saturn in November 1980 and then again in August 1981. NASA researchers continue to refer to the structure as “unexplained”, since the convective interpretations of Saturnian weather do not include mechanisms by which clouds can organize themselves into polygonal shapes. For many years researchers studying the issue have known that beams of electricity flowing through plasma produce a central column surrounded by concentric cylinders. The cylindrical current filaments exhibit long-range attraction and short-range repulsion braiding that result in evenly spaced vortices surrounding the column. As the filaments rotate around one another, a preferred hexagonal cross-section forms within the innermost column. 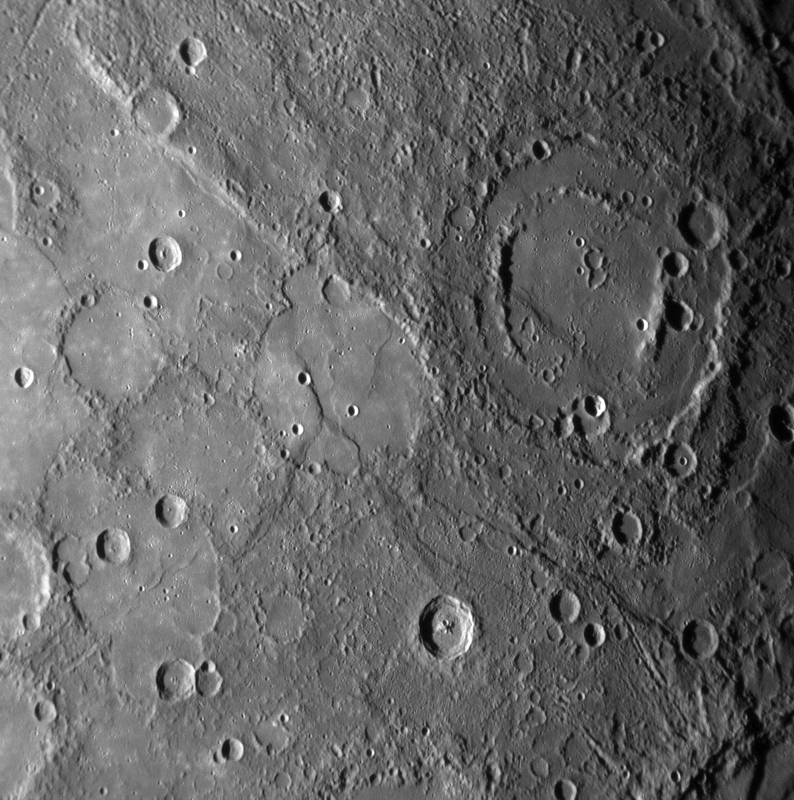 Hexagonal craters can be seen etched into the surfaces of planets and moons. Weather patterns, such as hurricanes on Earth, also exhibit hexagonal “eyes” that defy conventional explanation. The hexagon at Saturn’s north pole is another example of electrical activity in the solar system on a tremendous scale. Electricity moves along Birkeland current filaments that electrically connect the Sun with its family of planetary bodies. The energy flows most strongly into the giant gas planets because their charge differential with the Sun is greater than that of their smaller, rocky cousins. 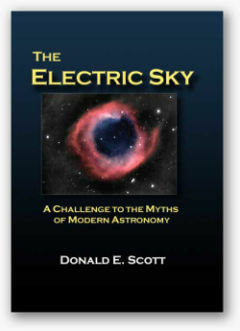 The “electric Sun” is what drives the energetic meteorological phenomena on Saturn (and the other planets). Electrical circuits power the Sun and initiate the “anomalous heating” that has been found on Saturn, as well as on the other gas planets that have been examined – Jupiter and Neptune display “hot poles” just like Saturn. Once conventional science sees the question in electrical terms, the many puzzles with which they are confronted will become clear. Such issues as “climate change” on Earth and the “double-eye” vortices on Venus and Saturn will be illuminated. Theories regarding the “hot poles” on Enceladus, Titan and Io will also benefit from acknowledging the principle tenets of the Electric Universe.